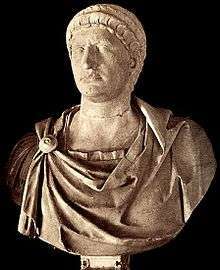 1 2 Suetonius. The Twelve Caesars. Penguin. pp. 255–262. ISBN 978-0-14-045516-8. ↑ Smith, Willian (1849). Dictionary of Greek and Roman biography and mythology. 3. C. C. Little and J. Brown; [etc., etc. ]. pp. 897, 2012. LCCN 07038839. ↑ Champlin, Edward (2005). Nero. Harvard University Press. pp. 147–148. ISBN 978-0-674-01822-8. This article incorporates text from a publication now in the public domain: Chisholm, Hugh, ed. (1911). 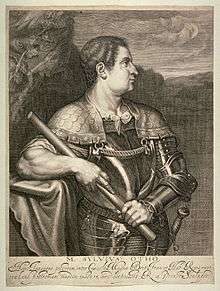 "Otho, Marcus Salvius". Encyclopædia Britannica. 20 (11th ed.). Cambridge University Press. pp. 365–366.